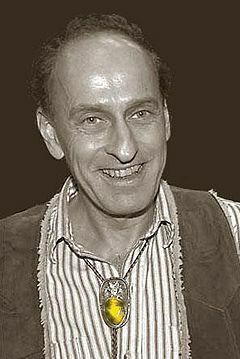 In the first of a series of posts concerning science fiction and fantasy writers whom, for various reasons, you might not know about whom you really should be reading we’re going to talk about Roger Zelazny. So you know where I’m coming from, here’s my biases in re Roger. This is nothing I haven’t said before, but, who knows?, maybe you’re new here. My relationship with Roger Zelazny started way back about 1969 or so when I read LORD OF LIGHT. I was about fifteen and I still consider it not only the greatest science fiction novel I’ve ever read, but the greatest novel, period, I’ve ever read. I learned how to read before kindergarten, and I was always a great reader, but nothing I’d ever experienced before prepared me for LOL. In the parlance of the time (late 1960s) it blew my mind. It’s a learned book steeped in eastern religion, set in the far future on a colonial planet where things have gone horribly wrong and its full of great characters, villains and heroes both who are immensely powerful and yet totally human, punctuated with fantastic action scenes and written in beautiful, lyrical, and yet muscular prose. What more can you ask for in a book? I was just then starting on the writing road (having already collected a couple of rejection slips from the sf zines of the day) and Roger became my writing hero. I read as much of him as I could find and he was one of my major influences. I wanted then (and still do) nothing more than to write something as good as LORD as I could, and I’m still trying. I moved to New Mexico in 1976 as a grad student, the writing sidetracked by a career (I thought) in academia. One of my wife Gail’s first jobs was as a manager of WaldenBooks, and through that we met a bunch of local writers. There’s way too many to mention, but I was surprised and delighted to learn that Roger was one of them. I met him then, but it was some years later in the mid-1980s after interaction with other writers in the area seduced me away from the ivory tower of academia into the seamy dark side of writing that I got to know him well, as we were both original members of the Wild Card gang. I was delighted to learn that he was a kind, generous, and self-effacing man as well as a great writer. He taught me a number of lessons, perhaps the most important of which was not to be ashamed of our roots and the things we love about our genre. He was as knowledgeable about Doc Savage (having read all 181 adventures) as he was about the complexities of Buddhist philosophy. I worked with him on Wild Cards and some other projects, and was looking forward to years and years of further fellowship on the writers’ road. But it was not meant to be. Roger passed away in 1995 from complications due to colon cancer. He was 58, an age I’m rapidly approaching. Before he died he left a large if not massive body of work, including stories and novels nominated for an incredible 28 Hugos and Nebulas, with 9 wins of these most prestigious genre awards. I can’t even mention all of them or this would turn into a dissertation. Among his great novels that I would especially recommend are, of course, LORD OF LIGHT, THIS IMMORTAL, CREATURES OF LIGHT AND DARKNESS, ROADMARKS, DOORWAYS IN THE SAND and, A LIGHT IN THE LONESOME OCTOBER. He was also a master of the short form, with such stories as “A Rose for Ecclesiastes,” “The Doors of His Face, the Lamps of His Mouth,” “Home Is The Hangman,” “24 Views of Mt. Fugi, By Hokusai,” “The Keys to December,” and the tales of Dilvish the Damned (a series he wrote early in his career which were a great influence on me), and many, many more. Just to give you a taste of his writing, I’d like mention one secondary character from one of his novels. The novel is CREATURES OF LIGHT AND DARKNESS, the character is the Steel General. The book itself is based loosely on Egyptian mythology, and is written in a non-traditional narrative wherein some “chapters” for lack of a better term, are straight narrative, some are vignettes or prose poems, some are actual poems, and the conclusion is presented as a short play. It is bursting with inventiveness and beautiful prose. The Steel General appears only in a few scenes, but, thanks to Roger’s deftness with words and language, we know a lot about him. “Upward stares Wakim, seeing the Steel General. “‘Faintly do I feel that I should have knowledge of him,’” says Wakim. The Steel General always wears a ring of human skin on his finger to remind of his humanity. He keeps a collapsible banjo in a compartment where his heart used to be, and when he plays it he becomes a negative Orpheus and men follow him to hell. He is a master of temporal fugue, and his horse, Bronze, has eight hoofs of diamonds and each stride he takes doubles the previous one — given enough of a run-up, it is said, he can cross the Universe in one stride. What happens then is anyone’s guess. I’ve always wanted to read a novel about the Steel General. But it was not meant to be. But for all of you out there, there is an entire universe of wonderful Zelazny stories. Read them. So I put Dan Blair’s name in the hat, then pulled it out. Dan — you get the five Amber novels. Give me an address to send them through — send a fb message if you want (let me know when you do, because sometimes I don’t get around to checking messages there for a long time), or send an e-mail to jjm1954@aol.com. Thanks for entering, and I hope your daughter enjoys the books.